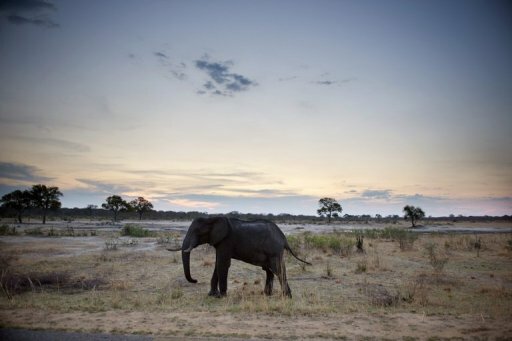 Harare (AFP) – A Zimbabwe court on Wednesday sentenced three poachers to at least 15 years in prison each for poisoning and killing 81 elephants, state radio reported. A provincial magistrate sentenced 25-year-old Diyane Tshuma to 16 years in prison for poisoning elephants with cyanide at in Hwange National Park, in the west of Zimbabwe, Spot FM reported. His co-accused Robert Maphosa, 42, and Thabani Zondo, 24, were each sentenced to 15 years. “The parks and wildlife management authority has hailed the sentences saying they will be a deterrent to would-be poachers,” Spot FM reported. Tshuma was ordered to pay $600,000 (440,000 euro) to the Zimbabwe Wildlife and Parks Authority for killing the animals, while Zondo must pay $200,000 by the end of the year. Elephant’s tusks are highly sought after for Asia’s ivory trade. The three were among nine people arrested on suspicion of poisoning watering holes in the game park. However, Jerry Gotora, chairman of the Zimbabwe parks department board of directors on Tuesday said the poison had been “put at places where elephants graze, not in water”. Two years ago nine elephants, five lions and two buffalo died from cyanide poisoning in Hwange National Park. Just 50 rangers patrol the 14,650-square kilometre (5,660-square mile) park, and wildlife authorities say 10 times that number are needed. There are more than 120,000 elephants living in Zimbabwe’s national parks.